Experience Self-Realization! Experience thoughtless awareness! Experience meditation as a living process that allows you to connect to your innermost core of joy ,love and bliss=your Spirit. Whoever interested in meditation, yoga and spiritual growth are welcome to join this meeting! No registration, special clothing or mats required. The exercises are simple and easy to follow. These meditation classes are always free of charge! After a few sessions you are likely to feel more balanced, relaxed, focused, emotionally stable and joyful! This is achieved by sitting in meditation in a state of thoughtless awareness. Join these classes to learn how to reach that state. 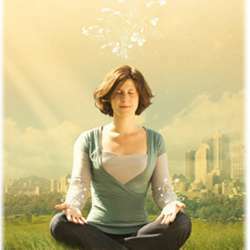 There are free meditation activities every week on Wednesdays at 14:30 o'clock. Meditation will be in turkish since the teacher speaks in turkish (Gül Hanım).